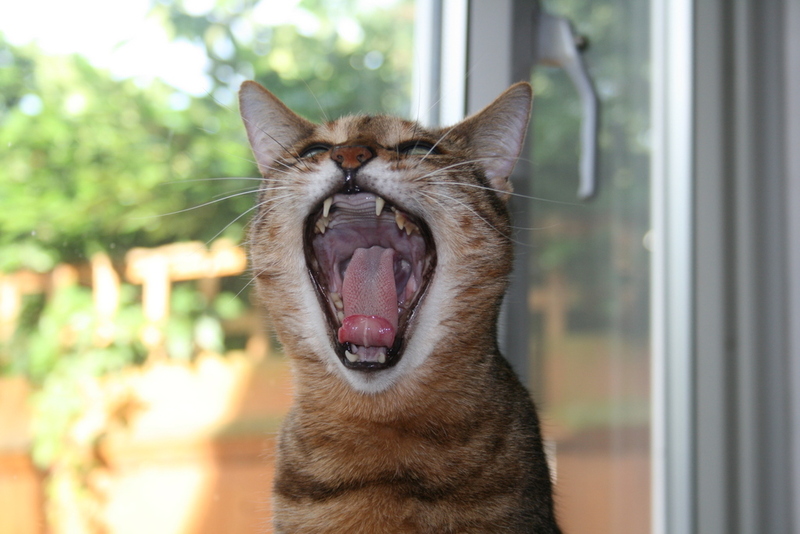 Bengal cat sings with wide open mouth! | A Cat Called Freya, and Teego Too! well, while Daddycat’s away, I also have been known to sing like nobody’s watching too! Daddycat thinks I look like a angelic choir girl cat, but when I sing, I just sing my heart out, and I’m FAR from an angel! What else do you think I do when nobody’s watching? 7 comments to Nobody’s watching! Haha! We can see your breakfast. I’ll bet you have a real good singing voice! I think, when nobuddy is looking, you do all the things you are normally Not Allowed to do. That is a very big singing mouth….er…face. Sing and dance, do you play the piano? I think that when nobody’s looking, you watch reality TV. I bet you have a great time when nobody’s watching. singing is funs! did you make cee-dees?